When Alphas premiered last July, it drew comparisons to Heroes with its characters learning to cope with extraordinary abilities. While it lacked the grand ambitions of the fallen NBC series, it compensated with heart and an excellent lead performance. 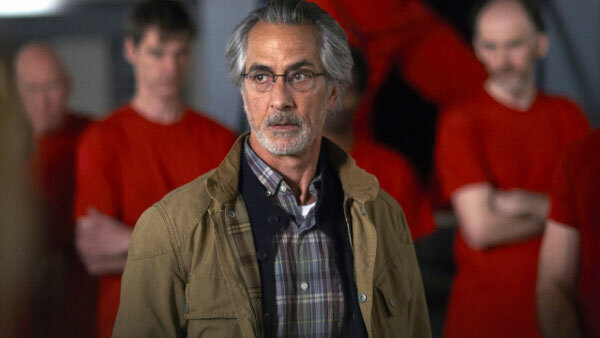 Veteran character actor David Strathairn (Limbo, Good Night and Good Luck) brings a surprising weight to Dr. Lee Rosen that enhances the drama. His team includes strong man Bill (Malik Yoba), ultimate sharp shooter Cameron (Warren Christie), mental influencer Nina (Laura Mennell), sense-heightener Rachel (Azita Ghanizada), and the autistic but hyperkinetic Gary (Ryan Cartwright). They’re an oddly matched team of heroes, but they work together to battle the forces of destruction.he action moves fast in this premiere and piles on the plot at a relentless pace. There’s some heavy lifting required to get the team back together and set up the band of villains for the upcoming season. For more details on the Alphas season two premiere "Wake Up Call", check out my review for Sound on Sight.